If our past is any indication, humans have not been too kind to animals in general, and Puppy Mills are one of the worst examples. The following article is meant to showcase just how horrific these locations are and why they need to stop. Furthermore, we also have a few tips as to how to identify a dog bred in a puppy mill. Puppy mills are an inhumane instrument for profit in the hands of dog breeders nationwide and, unfortunately, worldwide. Dogs are kept in sickening conditions for breeding purposes only, many of which contract diseases or develop other severe health conditions. First, a U.S. court ruling mentions them as operations for breeding dogs where the owners have total disregard for the wellbeing of the animals. According to this same ruling, in Avenson v. Zegart (1984), the goal of these enterprises is to maximize profits while keeping overhead to a minimum. Second, the ASPCA gives the most common definition. Puppy mills, according to them, are large-scale dog-breeding operations with the purpose of commercializing puppies. Puppy mill directors favor profit to the overall health and wellbeing of the dogs under their care. Dogs kept in wire cages for their whole life. No regular check-ups and poor overall health of the dogs. Regular killing of undesirable animals. As horrific as these installations may seem, it’s important to note their legal status. Unfortunately, there are many areas in the United States and worldwide where there are simply no laws to regulate the enterprises. On a federal level, laws exist but are far too permissive. On a state level, the laws vary wildly, and many leave room for interpretations. As with many controversial issues that plague our nation, puppy mills are complicated. From a legal standpoint, the best way to describe them would be ‘not illegal.’ This means that even though they are regulated, they are not outlawed, and even though action can be taken against them, it’s not a matter of law enforcement (in most cases). 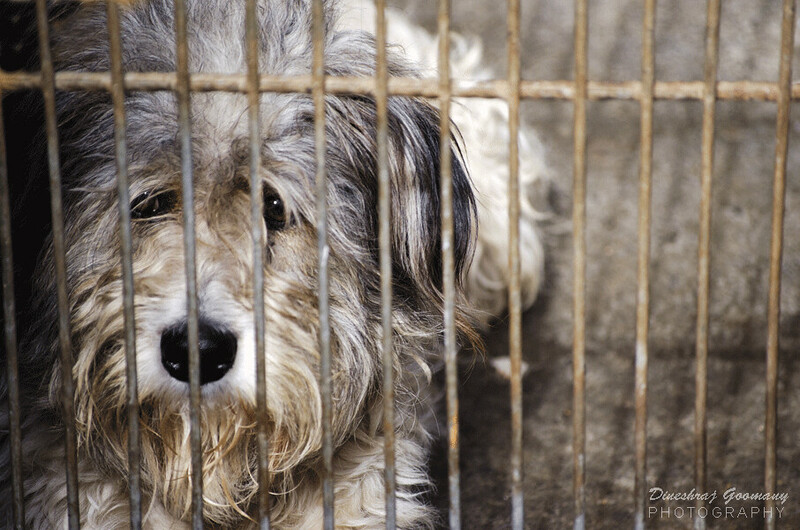 The Animal Welfare Act (AWA) should keep puppy mills regulated. The US Department of Agriculture should enforce the act. However, neither of the two does its job properly. Firstly, the AWA is way too lenient and allows puppy mills to function more or less unregulated. The rules outlined in the AWA enforce only minimal care of the animals in a large-scale dog breeding operation. Secondly, the USDA does not properly enforce the AWA. That’s not because they do not want to, but because it’s overburdened. They have too few inspectors available to test the quality of puppy mills. Furthermore, these inspectors are also responsible for other institutions or businesses that have animals in cages. Maybe zoos, petting farms, and circuses are okay, but add wildlife parks and it’s already too much. Still, USDA inspectors even regulate hospitals, schools, pharmaceutical research divisions, as well as the companies that transport animals. States that thoroughly regulate puppy mills: Colorado, Georgia, Illinois, Iowa, Kansas, Louisiana, Massachusetts, Minnesota, Michigan, Missouri, Nebraska, Nevada, New Hampshire, New York, Oklahoma, Pennsylvania, Texas, and Virginia. Also, states with poor laws relating to puppy mills: California, Connecticut, Delaware, Indiana, Maine, Maryland, New Jersey, North Carolina, Ohio, Rhode Island, Tennessee, Vermont, West Virginia, and Wisconsin. Lastly, states with no laws targeting puppy mills: Alabama, Alaska, Arizona, Arkansas, Florida, Hawaii, Idaho, Kentucky, Mississippi, Montana, New Mexico, North Dakota, Oregon, South Carolina, South Dakota, Utah, Washington, and Wyoming. Remember that even though the states are wildly different in laws, so are local communities. Some cities have begun to enforce their own justice on puppy mill owners. A 2015 map by the ASPCA which details existing laws. It may seem that adoption is an option only for those not searching for purebreds. However, nothing can be further from the truth. If you are searching for a purebred dog but do not want to buy one from the store (thereby contributing to an industry of death), look for animal rescuers. A simple Google search reveals purebred rescue societies for every state imaginable. That’s especially true if you live in poorly regulated or unregulated states. General signs of neglect: these are the easiest to spot. A poor-quality coat, touchy or fearful mood, and signs of disease are all clear indicators that the puppy came from a mill. Puppies from outside your state: puppy mill owners sell everywhere in the nation. Be cautious if you see that a puppy is not from your state. See the list above and be wary of the states which have absolutely no rules. Several breeds, multiple litters, unreal promises. A certified and humane dog breeder must not have more than two breeds with one litter available at a time. Furthermore, they have no way of telling exactly how the dog will be like unless they are mathematically calculating their breeding practices. Vaccinated puppies with real parents. Puppies that you buy must be vaccinated and over eight weeks old. Still, the breeder should let you see where the dog was born and its parents. If they won’t, then it’s clearly a puppy mill. Making contracts. A responsible breeder and one that cares for their animals’ wellbeing will make the buyer sign a contract. This is also good for the instances in which you simply can’t take care of the dog anymore and need to give it back. Puppy mills must stop and it’s up to you and me to contribute as much as we can. One step would be following the Puppy Mills campaign of the Humane Society of the United States. Another step would be reporting any suspicious activity to them or the local authorities. Few people have a tolerance for these institutions and only a heartless and corrupt police officer will say no when asked for help in filing a complaint about a puppy mill.